New! Introducing Susan Peek's New Series for Children. It is not just another series about the same Saints that you here about all the time... this series contains those obscure saints hardly anyone has heard of. 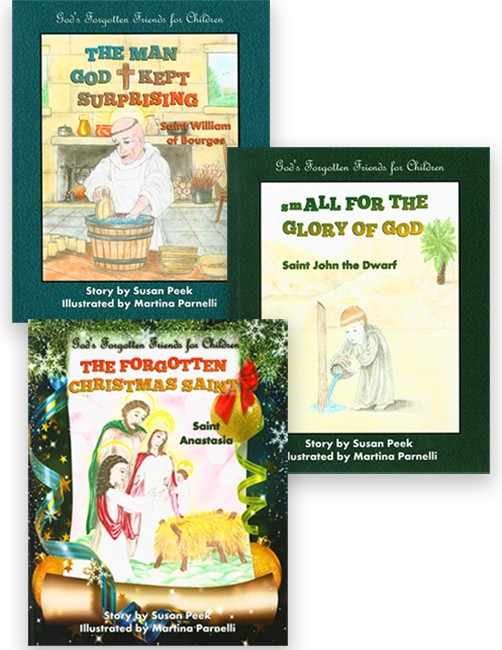 With charming full-color illustrations and easy-to-read text, these books in Susan Peek's new series are sure to capture the hearts of Catholic children everywhere. 8 x 10 inches. Soft Cover. 40 pages each.